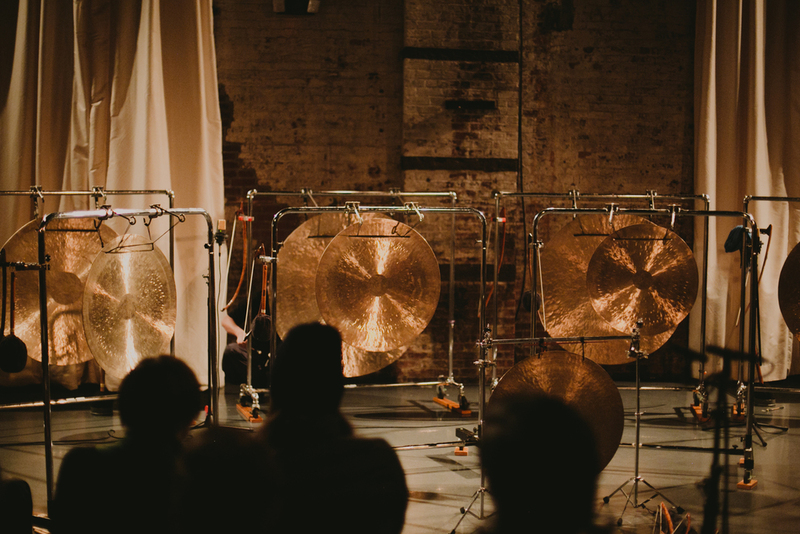 ABOVE BELOW was a special two-night event presented by Gowanus Art & Production and Broken Box Mime Theater (BKBX) at the Green Building in 2015. 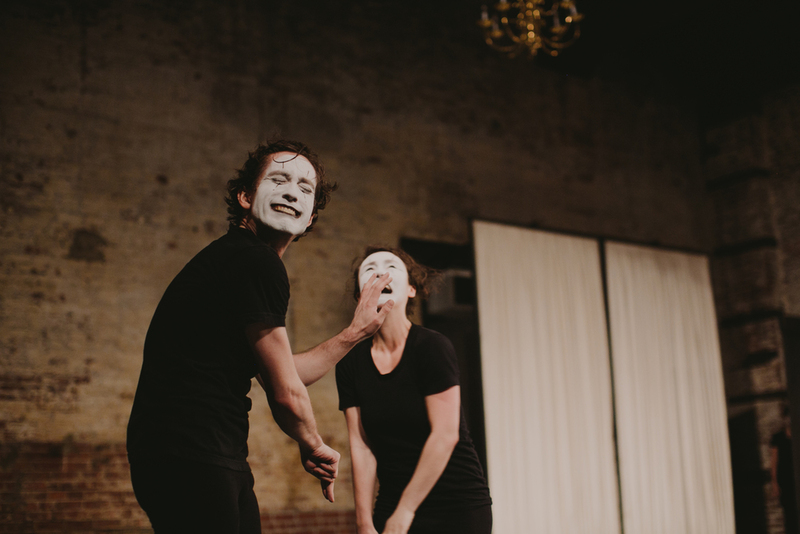 BKBX is a collaborative performance group that tells original stories through mime technique, without the use of props, sets, costumes or words. 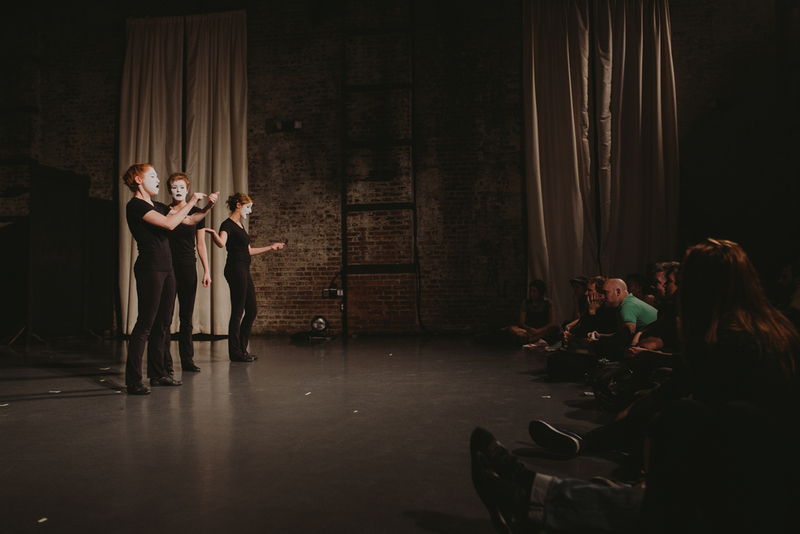 Each evening the audience was taken on an epic journey inspired by place and perspective, via a collection of original short plays told entirely through movement and music. ABOVE BELOW woke up the adventurer, the romantic, the cynic, and the dreamer in all of us. 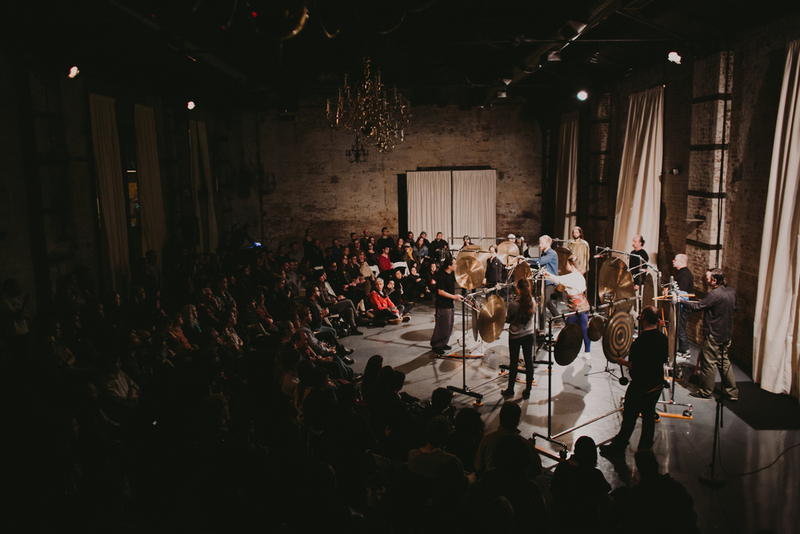 Groupmuse is making classical music accessible to new audiences by taking the fuss out of the listening experience, meaning anyone can host Groupmuse artists house-party style with and for friends. The Green Building proudly hosted a larger-scale evening outside their regular living room sessions. Learn more about Groupmuse here, and see some of our favorite photos by Chellise Michael below! Dom Flemons is the "American Songster," transforming traditional forms of music into new soundscapes that generate interest in old-time folk music. He's performed at renowned venues like the Grand Ole Opry, and we were lucky to have him perform an intimate set at the Green Building full of soul. THE MEDIAN MOVEMENT is the artistic intersection between Xan Burley + Alex Springer, serving as a vessel for their collaborative choreography, performance and teaching. They presented Room Moving Part I, a collaboration with sound/set designer/performer Will Owen and dance artist Hsiao-Jou Tang. Room Moving examines established relationships of formal performance in working with an integrated set of bright, white string. The night ended with a performance of X, a duet, opening on a moment before an end. FIRST LOOK is a quarterly performance series featuring a variety of live artists who have been selected from submissions. The artists present a work in progress creating a supportive environment for artists to present their piece alongside other working artists.